October 14 - 25. Two working weeks. Monday - Friday. Ten prompts from me. A private classroom in Facebook where we can play with ideas and implementation (you're not under obligation to join this group or to post). Videos, words, photos. Lots and lots of inspiration. The suggested price is $38. You can pay less (and make up the difference with a kindness or trade). If you can't pay anything, message or email me and we'll work to make your kindness epic! Class registration is now over, but I will most likely run this class again. * You sort of understand how to take double and multiple exposures but you haven't played around with it much because you don't know where to start. * You are a pro at double and multiple exposure already, but want a fresh perspective and fun prompts. 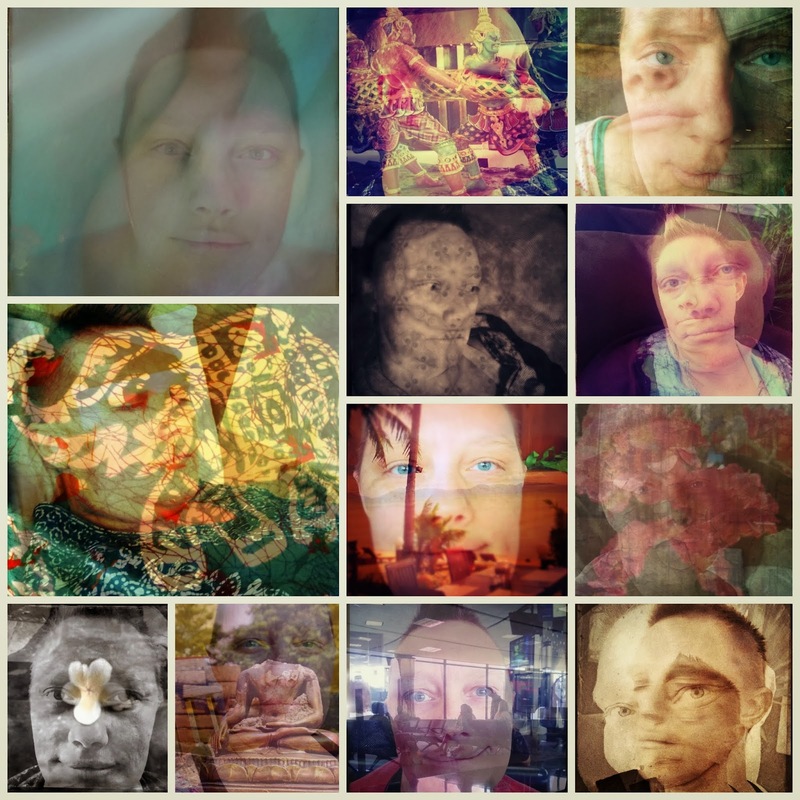 * You have no idea how to take double or multiple exposures but you can download (mostly free) apps to your phone or computing device and aren't scared of figuring out new technology (I can hold your hand to some extent). * You're intrigued by surrealism. * You already have a self-portrait practice. * You haven't taken any self-portraits lately but you're willing to try. * You have the money to take the class OR are willing to make a trade or pay a kindness forward. * You are not willing to learn new things (including possibly technical things). There are some technical requirements for this class but don't worry too much about it; I am designing this class so that even my mom can take it, as long as she can find her camera cord. * A smart phone, tablet or WiFi device that takes photos. OR a digital camera that you can easily get photos from onto your computer. OR a film camera that takes multiple exposures in camera (and the know-how to make them digital). If you're going on vacation or will be very busy during the weeks of October 14-25, I don't recommend you take the class right now. Of course, if you're going on vacation and you want to play (and have access to the internet), that's a great time to take this class! Because I am very much an in-the-moment teacher, I prefer having students who are right there, learning as I am teaching. After this first session, I will consider whether or not to run the class again (and perhaps also consider turning it into a self-paced course). That said, you can still take the class. You'll get the prompts and can work on them at your own pace. That decision is up to you. I'll be making tutorial videos during the class using each of these options. If you're still confused before the class begins, we can brainstorm a little (and if it is clear that it's still too confusing, a refund may be in order). I AM SO FRACKING EXCITED!